I think I know a remedy just for you. Where we all say hello while we’re on our way. Climb on board, we’re off to the beach, eh! You know if you join them it’s gonna be a fun day. Then stay out of the kitchen! Typically, this is where we tell you a little about the author. You already know that the author is one of the co-founders of the Bar None Group. This space, today is reserved for the Backstage Bar and Blue Wave Cafe. Climb On Board is the lead poem of Last Call: Poems, Stories and Art from the Costalegre. The author, Chynna Chilton, is pictured above on the first day of what would become the Backstage Bar and Blue Wave Cafe. The Bar None Group simply calls it home. The Backstage Bar and Blue Wave Cafe is the official home of the Dharma Bums of Barra de Navidad. That's the way it always has been. that's the way it always will be. 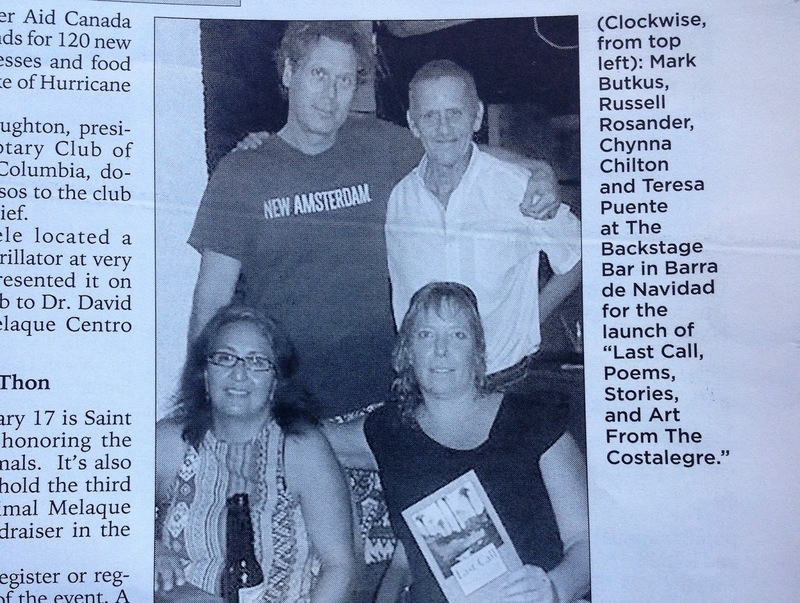 We had our first Bar None book launch at the Backstage Bar in 2010, our second Take Two book launch in 2012 and our third Last Call book launch in 2015 all at the Backstage Bar and Blue Wave Cafe. Our next book launch will be at the Backstage Bar "as material continues to be made available." 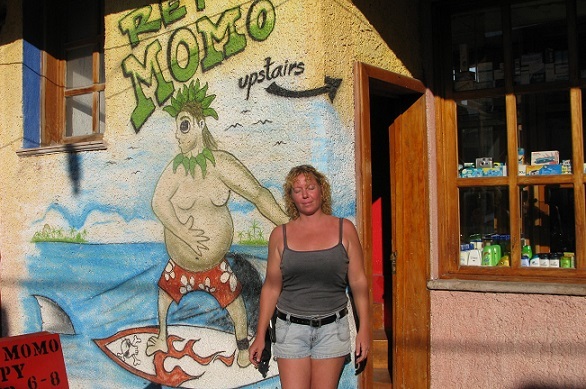 Chynna Chilton has worked hard these last seven years serving up memories for locals, turistas and dharma bums alike. She is celebrating these memories with a Backstage Bar birthday party on April 1. 2017. If you are in the Costalegre region head on down to the party of the year. If you are in Barra de Navidad you have no excuse! Stop by, say hola, have a margarita and toast the spirit of the Backstage Bar and all who have passed through its doors.